Well, I can’t promise that this is the final post of 2010 but that is my intent. 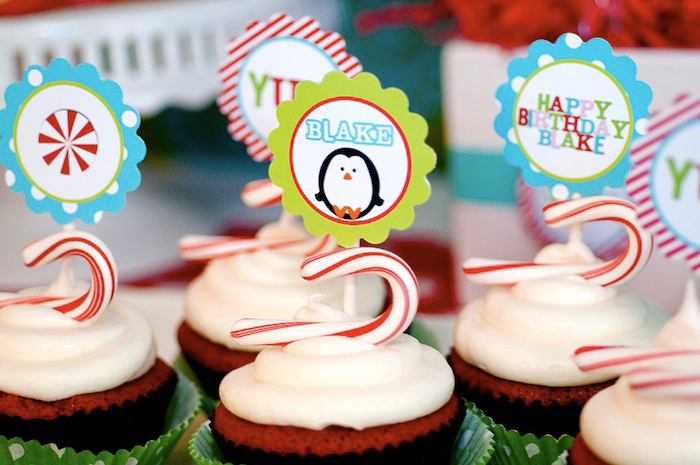 I wanted to end the year with a fun post near and dear to me…my little dude’s 1st bithday party. I can’t believe how fast and slow this year has gone by. All I can say is that 2010 was….hmmm…a test? For those that are close to me know that Blake, although as cute as a button, was a bit of a challenge. I can say now that we are past the all-day-screaming-for 8 months-straight period of time and on to much happier times…see? 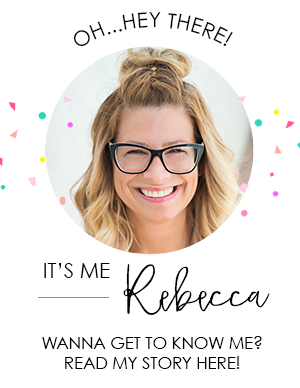 Plus, in addition to trying to soothe a screaming baby, and take care of a 2 yr old, I left my full-time job and started my blog and Etsy Shop!! So while all of this insanity was going on behind the scenes…all of you were able to expreience my outlet…my blog was an outlet…for me to focus on my sanity creativity and share ideas and inspire people! So? What does 2011 bring? Not too sure yet…I am the chick without a plan…just sort of flyin’ by the seat of my pants and seeing which direction the wind blows. Well, some of you may have already seen some of the photos of his party floating around facebook or perhaps you saw the awesome post on Hostess with the Mostess!! Yes…HWTM!! For sure one of my highlights of 2010!!! 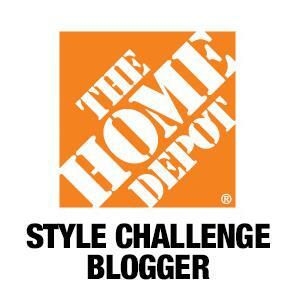 Here are all of the details along with some party decor that didn’t make the cut…enjoy! 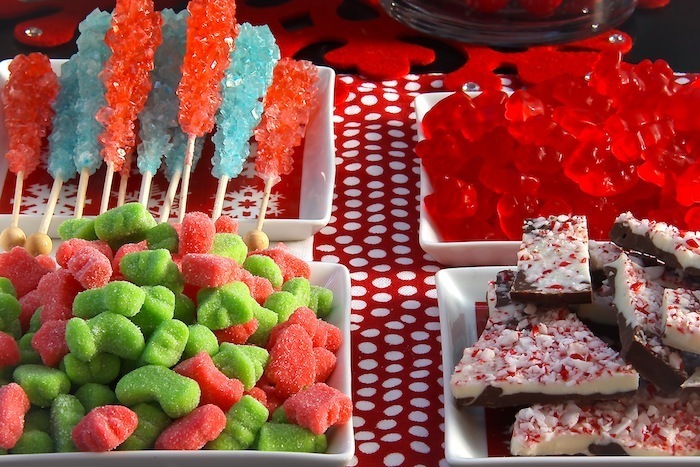 Since there was not enough room on the dessert table, why not create a second table? 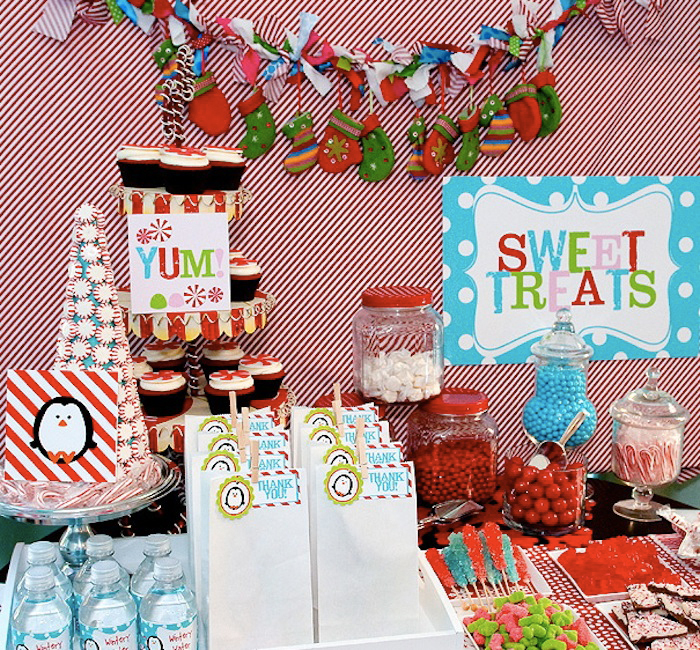 So here is it…the candy buffet loaded up with all sorts of sweet treats! Ahhh…the cake! This was a last minute game time decision…I had plans to make a cake but then reality set in!! I had enough to do, plus the honey-do list for my husband quickly became exstinct due to the fact he had surgery on his arm the day before the party…so off to Target I went to order a cake. Problem is I couldn’t just “order a cake” there were some special instructions for the super sweet bakery lady. Afterall…I had a vision…I know scary right? They offer a typical 8” round double layer cake…I asked for them to add a third layer, add fudge between the layers, ice with smooth buttercream, add polkadots in red with a red beaded border. I would take care of embellishing the rest. 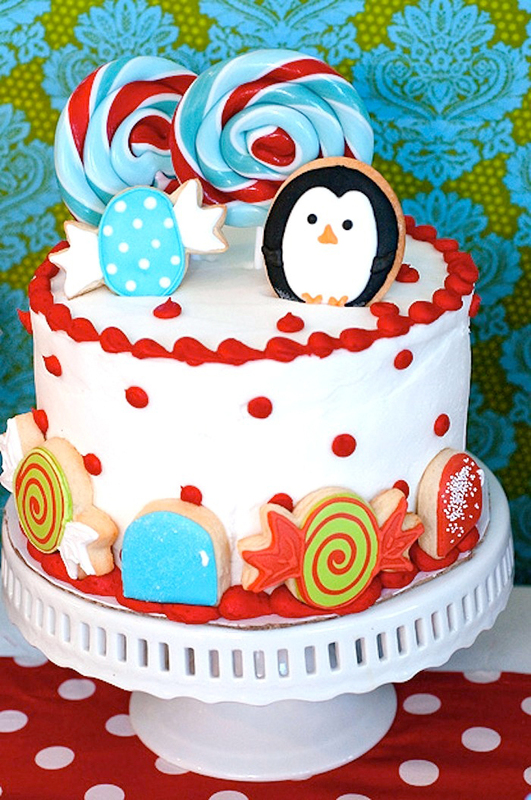 The cake decorating was totally unplanned, it was last minute so I decorated it with a few items I had for the party…some large swirly lollipops from Target and some super cute cookies to match the theme sent to me by Flourish Sweet Shop. Oh..and the yummy red velvet cupcakes??? 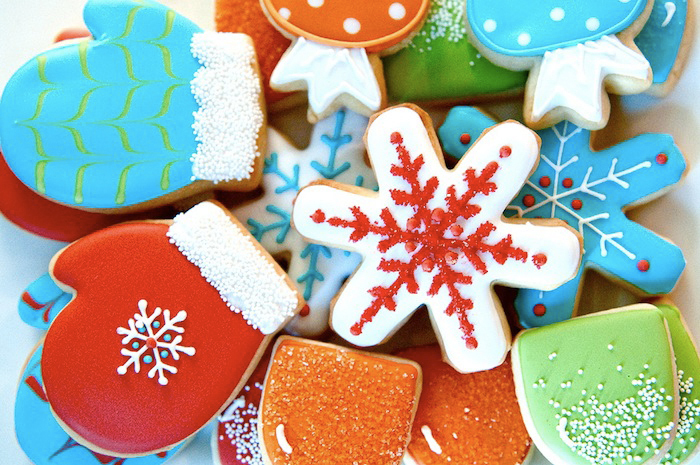 Can you say…beyond fabulous deliciousness?? These delectable little treats were made by my sweet and talented friend Jill of Modern Cupcake!! Jill…these were perfect…thank you!! I love this entire party. 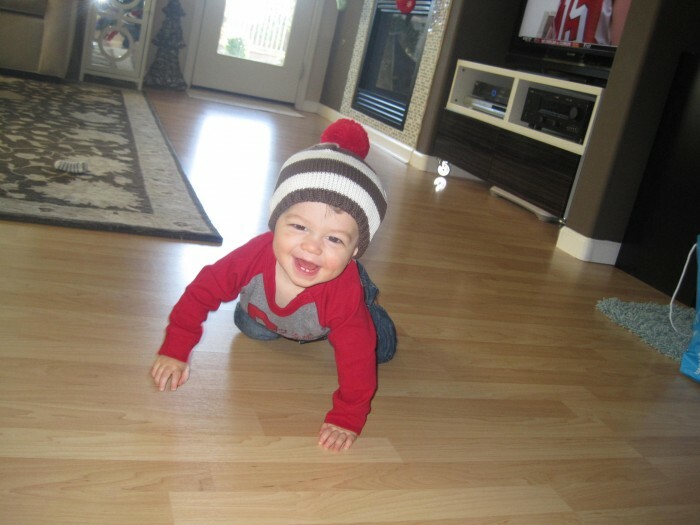 Adorable and totally appropriate for a one year old winter baby cutie. I love the mix of winter colors. 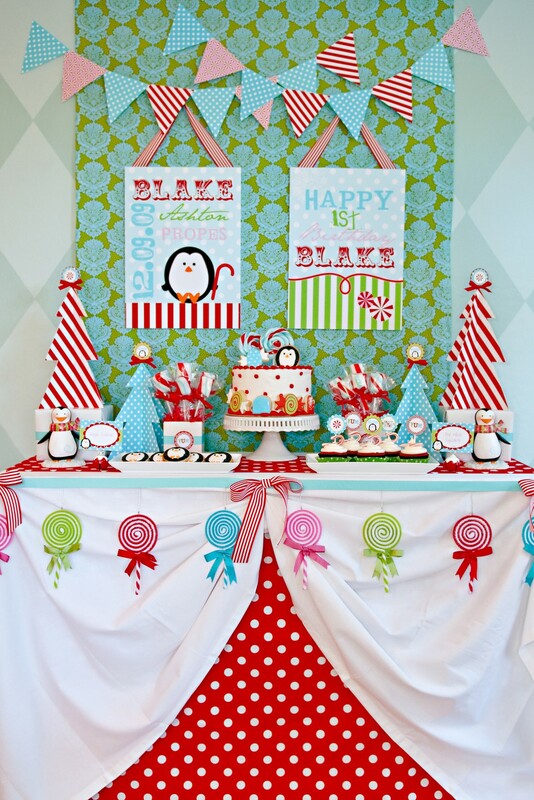 I adore the posters and fabric on the dessert table backdrop:) Totally Fresh Chick FAB. RIDIC. Love the theme, love the colors, love the cake!!! All so cute!! Well done!! Wow! 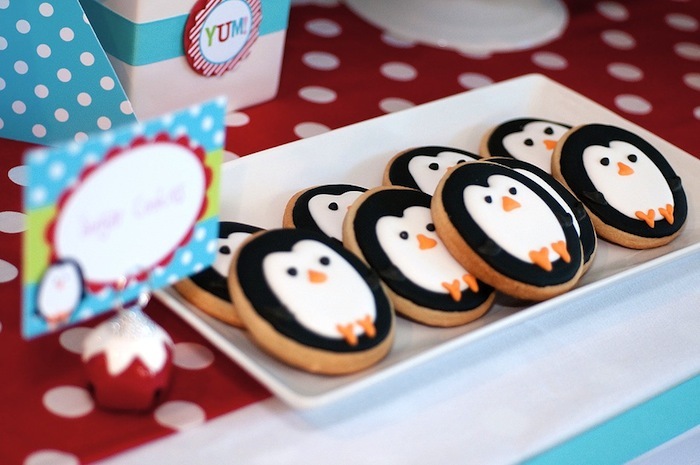 This party is BEYOND adorable….amazing! This is amazing! I love the color palette and all the little details. 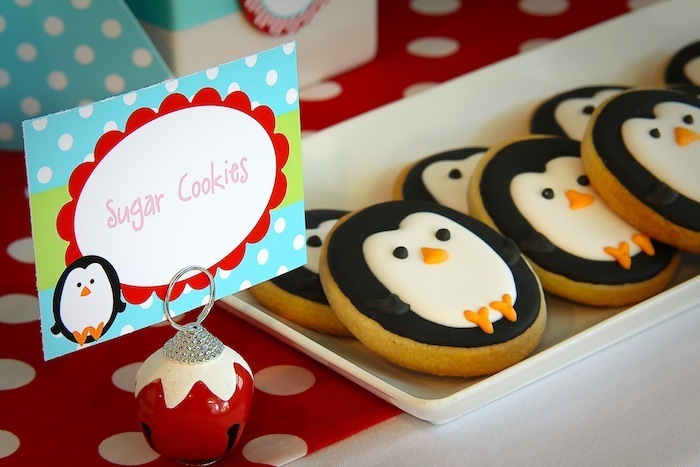 I especially love all the penguins. I adore this more than I can say! Well done! You can message me thru Etsy and I will create a listing for you, thanks! 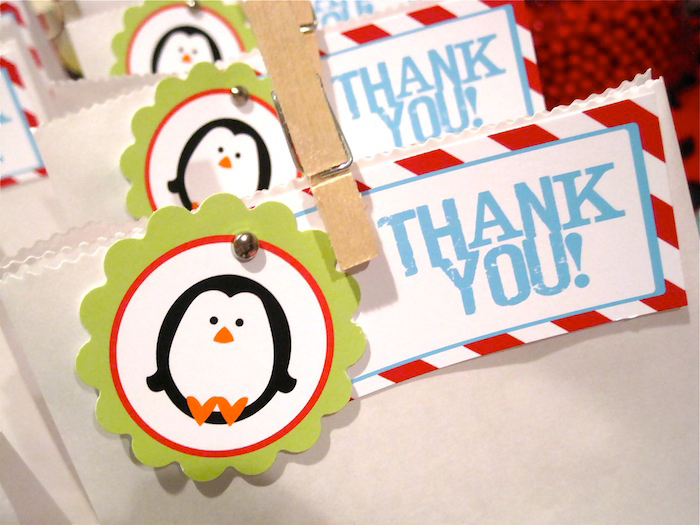 I would like to know where to find all of the penguin paper/stuff, I am having my one year olds birthday and it is in November, so this would be a perfect theme. Thanks for your help! Can you tell me where I can find the red, blue and white swirl lollipops? Can you tell me how you did the fabric back drops? Were they hung on the wall or wrapped around something? This is awesome! 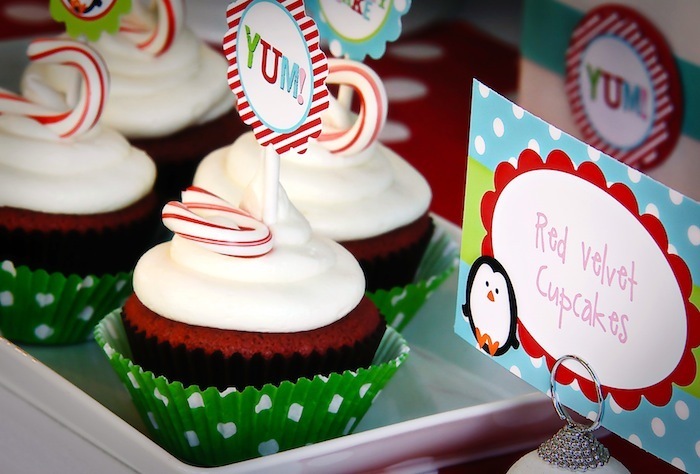 What food did you serve besides the candy/cupcakes? I am having a tough time figuring out what all to serve. Thanks! Wonderful party! 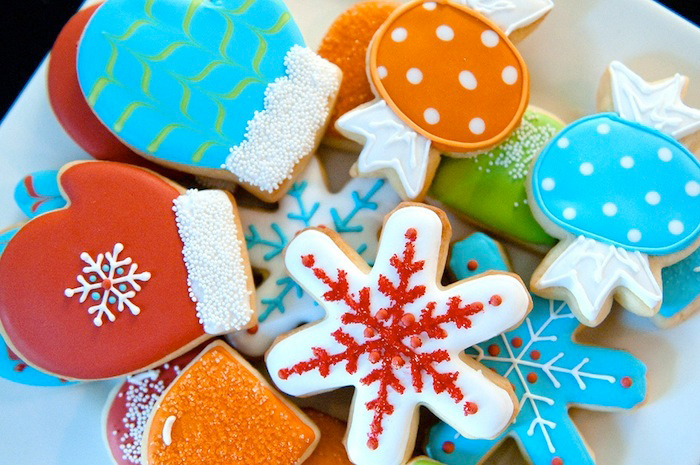 Those cookies are amazing!